The Jaya Tavola II Centre table is part of designer Elise Som's first collection: “Aureola.” Each piece is inspired by the women in her life and the jewelry they wore. The polished brass rings and base are reminiscent of bangles dangling from the wrists and arms of women, twisting around themselves, creating golden halos. 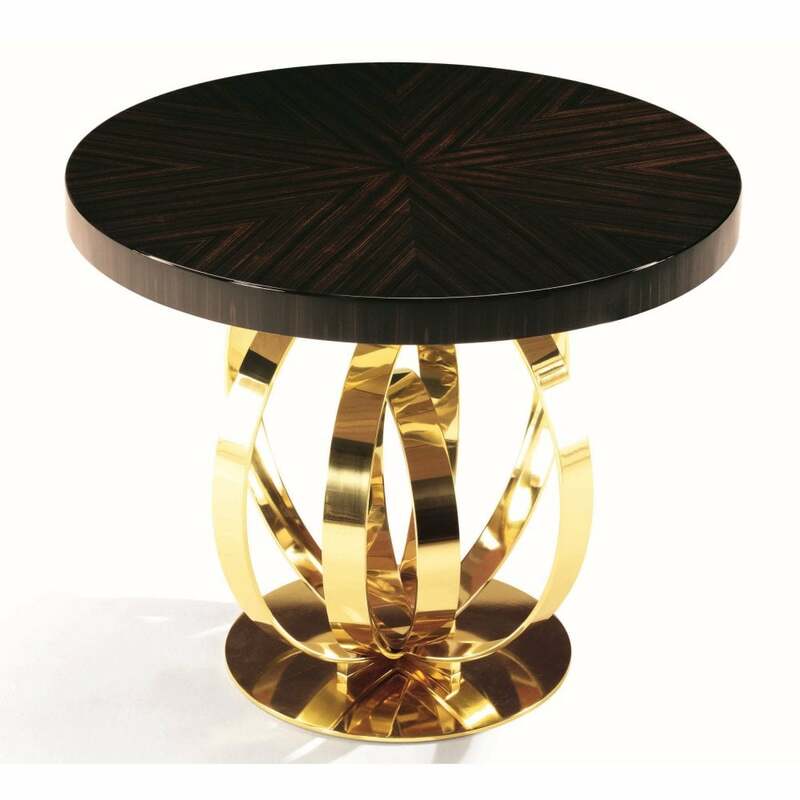 The round table top is crafted out of Macassar Ebony in a high gloss finish with starburst design. Use to display your favourite flowers, design books and exotic candles. The Jaya Tavola II Centre Table will make a statement in a foyer, living space or bedroom.